From 1983 to 2012, humanity has entered into, traveled through, and is now colliding into the opposite side of the dark rift in the milky way (mentioned in the book "Astrology of 2012" by Marcus Mason, by Hay House http://www.alunajoy.com/books.html). This is the 33 year passage of the Living Masters. 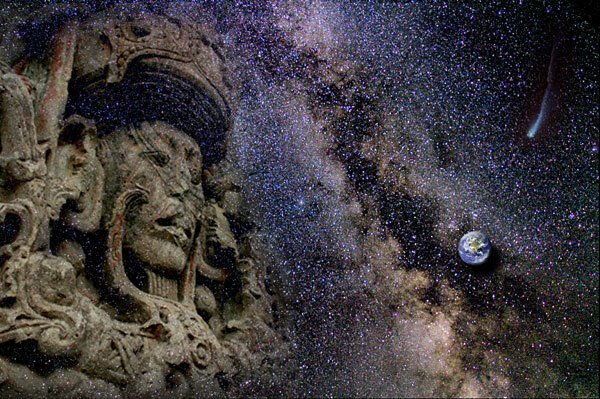 The Maya understand that this rift as a place of intense transformation. Some call this a dark night of the soul for Earth and humanity. This sacred passage will be 100% complete by 2016, and we are beginning to see a little glimmer of the light at the end of this long tunnel of transformation. Together, humanity has been going through a dark rift collectively. This 33 year passage comes at the end of every 26,000 years. Some make it through this time without too much scarring; while others are ground up, unrecognizable compared to their original forms. What true light of pure, unaltered consciousness shines upon, no darkness can undo. There is no going back to who we were, and how we lived, before we began this journey. We cannot unlearn the light that we discovered in the contrast of this dark rift. We have fearlessly dug into our deepest and darkest places in our very soul, sometimes kicking and screaming all the way. We have cried from the deepest part of our souls for a deeper relationship with God, Creator and our own inner God Presence. We have even screamed for mercy to be released from the bondages that we feel in this human form. But we have survived, and we are ready. There have been several phases to this dark night . . .
One phase is a dark night of the soul for the Spirit/Soul. This is where our ego must die to its illusionary ways, as we see the light of pure unaltered consciousness. It is a time where we must end the blaming and take responsibility for our lives and actions. It is a time where we reclaim our divinity as God BE-ings. It is a time where we make huge and radical shifts in our lives to align to this awakened divinity within us. But before we complete this divine plan, we must embrace the second phase which is a dark night for our physical body. Our bodies have memory in our DNA that, in the past, at the end of each age, it remembers to drop the physical form and pick up the soul/spirit on the other side of the shift. This is the first time humanity will not drop their bodies, and we will now take them along for a ride of a life time through a shift of an age. This has never been done before. Many of us may have been experiencing this during the last few years, and very possibly the last few months. We might have been experiencing unusual phantom aches, pains and body symptoms as our bodies DNA is rebooted with new programing that come upgraded without the death memory. When we complete this divine plan that we have collectively set into motion, we can break the life/death/re-birth cycle forever, and for future generations. Apostle Paul said "I die daily". If we had followed his advice, we would not have had these dirty closets to clean. But do not judge yourself for collecting all the ugly baggage. We have learned so much by working to clear it out. The Star Elders say that we are the most courageous ones from any age that they have witnessed, as we dove into the darkness without a flinch or second thought. We jumped in head first. We knew we could get the job done. We have gone through many phases in these last 30 years (3 lighter years to go). We dismantled and demolished all that was not the light within us. When there was nothing left to destroy of our former selves, we bore our depression and grieved as we painfully felt our losses and said good bye to the past. The hardest part of the pilgrimage was when we entered the next phase. This was a scary, unknown place where, once we had let go so completely, there was no solid ground for us to place our feet. This phase came with profound disorientation. In this petrifying place, we were faced with two options: One . . . we could embrace this terrifying void, or two . . . struggle to swim upstream to the old self and what we knew as familiar and normal. In this disorientation, there is no way to know which way to go. I am sure that we all tried it both ways often until we became so exhausted by the effort that we were forced to surrender to the light that was growing inside of us. We entered the unknown. We are, just now, starting to come out of this phase. The next phase of the dark night of planetary transformation is the rebuilding phase. We begin to envision and create a new identity based in the light and a new world along with it. It is the phase where we rebuild, upgrade and re-establish a high vibratory world, and rise to a higher, clearer level of consciousness. The Star Elders say that whatever we thought this new world might be, there will be huge surprises ahead of us. If you don't like surprises, I suggest you get used to the idea. In ever changing nature and the cosmos, there is no normal or constant other than our personal center and core. You have found this core inside of you, even if you think you have not. Now that we are finally coming into our living mastery, the universe is bound by natural law to give us MORE of what we think and believe, and are grateful and thankful for. Buddha said "All that we are is the result of what we have thought". This is a power we must use wisely. If we sugar coat all our wounds and things that are NOT alright in our lives, then we give permission to the universe to order up some more of what we really don't want! This is a highly misunderstood concept about positive thinking in new age communities. I call it the "IT'S ALL GOOD" mentality. Don't sit back and just take the pain and suffering you feel today and say "it's all good" like a powerless victim. Do you think the Creator wants you to suffer? Absolutely not. The challenges and pain in our lives are here for us to learn from, and THEN . . . be grateful and thankful for what we have learned. This will break the negative cycles in our lives. Any uncomfortable situation we avoid and cover up with the "it's all good" mentality will come back over and over until we learn the lesson. We got to get it, before the universe will let it go. Sometimes there are things we must accept that we cannot change. Ram Dass' approach to his stroke is a great example of this. But now we have the power to change the things that we can. We are stepping into being creators, Living Masters, now. This is a great gift for our personal selves and all of humanity. The more living masters that we have walking upon the Earth, the more it unifies our world. We must foster new, upgraded gratitude . . . not based by comparing yourself to others, but by feeling gratitude based on your abundance and your life (at whatever level that may be today) within the consciousness of oneness and unity that includes all of humanity. Our thankfulness and gratitude will be a benefit to all of humanity . . . not just us personally. As the Maya say, "In Lakech a la Kin", which means we are all one, and what I do for me, I do for you as well. We must love ourselves and all our brothers and sisters as well. What life was before this 33 year journey is now dead and buried. It is time to say good bye and to say thank you to our past. It has served us well. We have discovered our true authentic selves, and we have healed past wounds and elevated our consciousness. It is time. We must say good bye to our past before we can travel to the future. We must say thank you to our past, so we can reach another and higher level of consciousness. 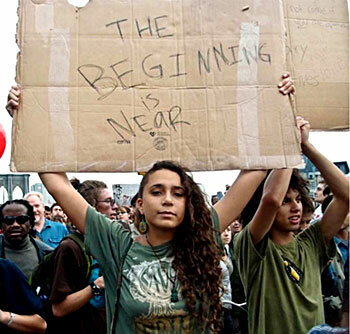 The beginning is near!